Delta has been honored with a Glassdoor Employees' Choice Award, a list of the Best Places to Work in 2019. This is the fourth straight year the company has earned this honor, ranking at No. 28 in the list of 100 large companies. The Employees' Choice Awards program, now in its 11th year, is based solely on the input of employees, who elect to provide feedback on their jobs, work environments and companies on Glassdoor, one of the world's largest job and recruiting sites. "Delta is now recruiting the next generation to carry the company forward, wrapping up a 2018 goal of attracting and engaging 5,000 of the best new Delta people, with more to come," said Joanne Smith, E.V.P. and Chief HR Officer. "In that context, it's a fantastic calling card to receive this award again, and humbling to receive so much wonderful feedback from Delta people. We'd like to thank every employee who took the time to share about what it's like to work here. We take all of it seriously, both positive and negative assessments, since they help us grow and improve." CEO Ed Bastian mentioned last year that this award was the one that makes him the "most proud" and shared additional thoughts on what makes Delta a 'Best Place to Work' in Glassdoor's executive feature, "Powered By People: Delta Air Lines' CEO Reveals What Fuels Its Success." Unlike other awards, there was no self-nomination process. Instead it's entirely based on feedback Delta people have voluntarily and anonymously shared on Glassdoor. To determine the winners of the awards, Glassdoor evaluates all company reviews shared by employees over the past year. "In today's tight labor market, job seekers are in the driver's seat when it comes to deciding where to work and they want to know the inner workings of a company before accepting a new job. To help people find the best jobs and the best companies, the Glassdoor Employees' Choice Awards recognize employers at the top of their game," said Dr. Andrew Chamberlain, Glassdoor Chief Economist. "For employers, we know that a satisfied and engaged workforce helps drive financial performance. 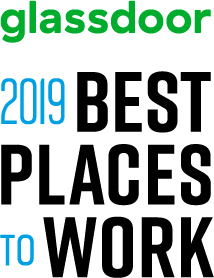 Glassdoor Best Places to Work winners are strategically investing in company culture, career growth opportunities and more, which also serves as a major recruiting advantage." Glassdoor's Best Places to Work were determined using company reviews shared by U.S.-based employees between October 23, 2017 and October 21, 2018. To be considered for the large category, a company must have had at least 1,000 or more employees and have received at least 75 ratings across each of the eight workplace attributes from U.S.-based employees during the period of eligibility. The final list is compiled using Glassdoor's proprietary algorithm, led by its Economic Research Team, and takes into account quantity, quality and consistency of reviews.